There were many winners on the big Mega Millions draw of October 23rd, 2018. While the $1.53 billion jackpot winner has yet to claim this enormous prize, news of other people who struck big that night keeps breaking out. One of the most impressive stories is that of 126 NICU nurses from Missouri. They made an office pool and they bought tickets for the big draw. 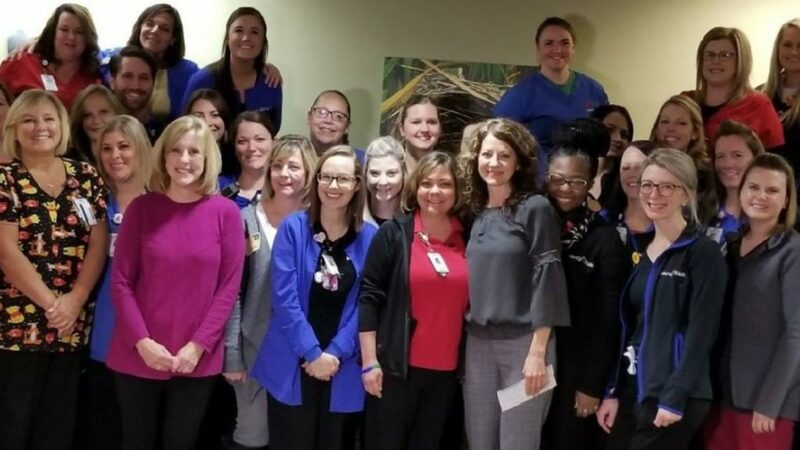 “We never thought in a million years we would win anything at all and then we came one number away from winning $1.6 billion,” said Stephanie Brinkman, one of the nurses in the syndicate. Tragically, on the very night of the Mega Millions draw, the 17-year-old son of Nurse Gretchen Post committed suicide. Part of the syndicate money went to her. “It’s actually going to pay for Jack’s funeral which I’m very grateful for,” Post said. The rest of the money went to neonatologist Casey Orellana, whose husband, Phil, has recently been diagnosed with sarcoma. This meant that Casey had to cut down her hours at the hospital to take care of him and their two children. “When I got that phone call (about the lottery winnings), it was a day I was wondering how we were going to pay for certain medications and it just touches your heart,” said Casey. Both of their stories are absolutely heartbreaking, but the kind gesture made by their colleagues points out the power of kindness and community. Congratulations to the Mercy NICU nurses!